The news that certain illegal immigrants will be allowed to serve in the military was welcome news but not enough for one Republican who supported legislation to that end earlier this year. A new policy revealed Thursday, according to the Military Times, will allow illegal immigrants to serve in the military by expanding eligibility for the Military Accessions in the National Interest (MAVNI) program — which allows foreign nationals with specific skills, largely language and specialized healthcare, to serve in the military — to include illegal immigrants who have been shielded from deportation by President Obama’s Deferred Action for Childhood Arrivals program. According to the Times report, the MAVNI program is capped at 1,500 annual recruits, and foreign nationals who serve in the military are traditionally eligible for expedited citizenship, with 92,000 achieving citizenship since 2001. 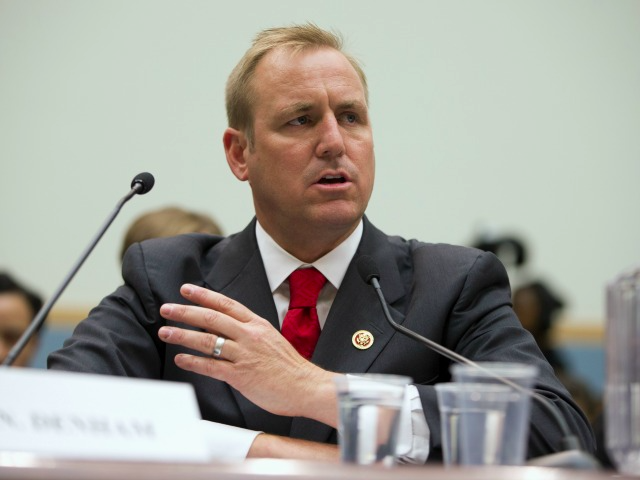 Earlier in the year, Denham and a bipartisan group of House members attempted to move legislation that would have allowed illegal immigrants who had been granted DACA status to serve in the military — the ENLIST Act. Their effort was ultimately unsuccessful, and lawmakers at the time speculated that the Obama administration would move forward with allowing DACA recipients to serve in the military regardless of whether Congress approved it. News that illegal immigrants can now serve in the military comes as many expect President Obama to take executive action to grant millions of illegal immigration legal status.